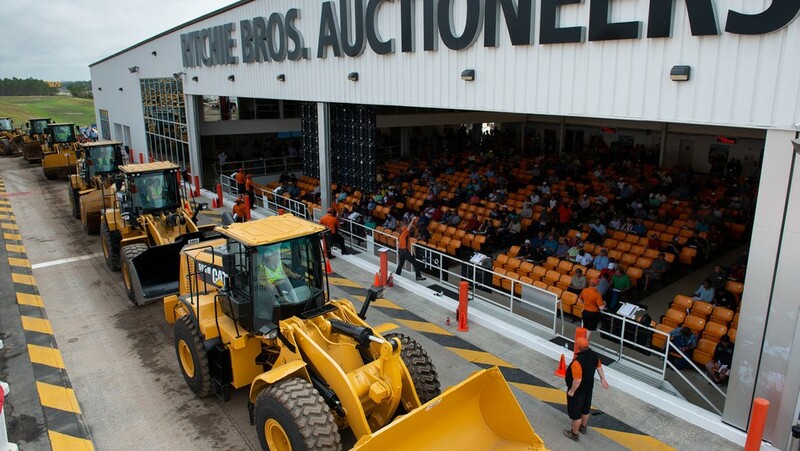 More than 430 loaders were sold in Ritchie Bros.' record-breaking Orlando, FL auction last week. (CNW Group/Ritchie Bros. Auctioneers). More than 465 truck tractors were sold on the final day of Ritchie Bros.' six-day, US$297+ million auction in Orlando, FL (CNW Group/Ritchie Bros. Auctioneers). A sea of equipment stretched over the 220-acre Ritchie Bros. auction site in Orlando, FL last week as the company hosted its largest auction ever--13,350+ items sold for US$297+ million (CNW Group/Ritchie Bros. Auctioneers).